Drawn to a salon? Learn how to buy one. 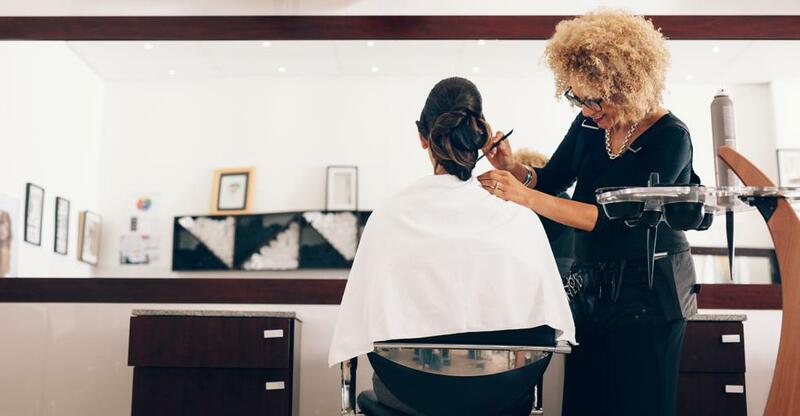 The popularity of salons in the United States is growing as fast as a good head of hair — with 270,000 salons earning a collective $62 billion in 2016. They say beauty is in the eye of the beholder, but it’s safe to say that the salon industry is looking pretty good these days. Entrepreneurs listen up: salon franchises are on the rise and offer real money-making opportunities. You don’t need to be versed in faux hawks and small talk to succeed in the salon industry — you just need to follow these tips. Sorry to say, but shopping for a salon franchise requires more research than buying another type of franchise. This is because no two salons are the same. When it comes to beauty and styling, the cliché “the customer is always right” turns out to be true. Think about it: you only live with a below average hamburger for one meal, but a bad haircut can plague you for weeks. Are you looking to buy a full service or specialty salon? Which services does the salon offer? Is one more profitable than another? Which products does the current owner use? Which do they sell? What is the profit margin of services vs product sales? Which vendors does the salon use, and do they have a good working relationship? Although this barely scratches the surface of questions you should ask when shopping for a salon, it’s a start. Just remember that there is no one-size-fits-all salon option, so find your niche, put yourself in the shoes of that demographic, and go from there. Why bother getting to know an owner that is on their way out? Because, in many cases, knowing the owner is the first step toward knowing the ins-and-outs of your potential investment. There’s no need to be invasive during the discovery process, but insight into the owner, why they’re selling, their history with the franchise, and more, are all areas worth investigating before signing a deal. A little insight into the current owner and their relationship with the business might be the inside scoop you need to make a final decision. Not to mention, salon owners historically have a heightened personal involvement with their business. Most people buy salons because they either have a passion for cosmetology or have previously worked as a stylist. This means that salons are unlike other businesses, because franchise owners sometimes double as employees. When buying a salon franchise you will want to be cognizant of the current owner’s involvement: do they work behind the chair, how do they pay themselves, and do they plan to keep their job as a stylist after the sale? These questions will help uncover the owner’s current level of involvement and what they expect going forward. A lawyer is crucial during negotiations for many reasons: reviewing your contract, ensuring federal and local compliance, and generally overseeing legal matters. For example, a common hurdle for prospective buyers is transferring a property lease. This is a complicated process best left to a professional. A CPA should handle the financial record keeping. With their expertise, you can review the financial records for the salon and determine if it is a reliable investment. A business broker can help find buying opportunities, and work as liaison between you and the seller. Their help can be especially important for new entrepreneurs. While buying a salon might be filled with uncertainties, rest assured that following these tips will ensure your buying process is a cut above. Purchasing a fully-fledged business is one way to avoid the risks associated with starting a new business venture. Nicky Tatley talks to Yogi Govan about his legendary barbershop in the heart of Cape Town and what it takes to succeed in the business.